The following email was sent to Gail Ross MSP, Edward Mountain MSP and Maree Todd MSP on 23 November 2018 14:40 by Sara Nason as a personal appeal to the REC Committee in anticipation of their report on the Parliamentary Committee’s investigation into Salmon Farming which some say could be expected next week. Forgive me for writing to you both, as well as Maree too, but I believe that some issues transcend party and even national interest. They are simply issues of such global importance to all human beings that they are decisive moments in history for us all. I hope I am not being melodramatic when I say I believe that the decision which the Parliamentary Enquiry on Salmon Farming will make, will be a decisive moment for the whole planet and a window of opportunity to change things. Just as the Kelp debate has been and the debate over MPAs and closures to dredging before that. 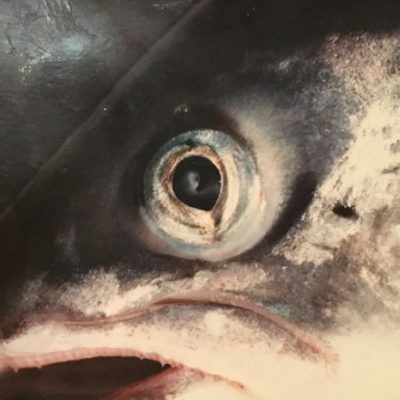 The Salmon is an iconic species but its fate, and that of the wider ecosystem (which has been irrevocably harmed by open cage salmon aquaculture) is linked to the fate of our species and generations ahead, for it is all connected. The evidence submitted to the enquiry provides ample rational reason for the need for radical reform. Add to that the global context of climate change, massive biodiversity loss, ocean acidification and species on the brink of extinction – the only conclusion is human beings need to clean up our act and do so decisively, taking a new path – one which builds our economy on jobs which are supportive of the environment or have minimal impact. Business as usual is simply not an option. We do NOT need more jobs based on industries which trash the environment. Scotland could lead that change internationally and therefore these are exciting times and we ask you to stand your ground. Salmon Aquaculture in Scotland alongside other Salmon farming nations has a huge impact globally. Decisions made here in Scotland will have an impact around the world. Therefore this decisive window of opportunity, in which we can take a lead on this issue, is not just important for our nation it is vital for others too. I implore you to grasp this opportunity, for I believe we are at a decisive turning point in history. Not only that we are the generation that makes the choice about which future our species and our planet will have. I sincerely hope you, our leaders recognise this responsibility and the cross roads we are at. Please stand firm for the evidence and the truth as you know it in your heart. We cannot expect anything less of our leaders at this time. We also remind you that your predecessor Rob Gibson who supported Richard Lochhead’s brave decision to close Wester Ross MPA when he was chair of the RACCE committee (as well as support the ban in other MPAs) made a decision based on the evidence. Recently your decision on Kelp has give the movement for change momentum and I hope new more ecosystem, holistic and joined up thinking around the kind of economy we want will follow. We ask that the REC Committee makes its decision with future generations in mind. Your conclusions could have incalculable impact on the economic opportunities along the west coast – and way beyond. I help coordinate the group Sea Change Wester Ross, and as an individual I am also a member of The Salmon Aquaculture Reform Network Scotland. When your predecessors at the RACCE Committee led by Rob Gibson endorsed the closure of MPAs to dredgers and limits on trawling, it set in motion the potential for ecosystem recovery. This recovery is a precious asset. As such I will be following this letter up with a film on monday which shares evidence from our surveys for why our ‘maerl’ Marine Protected Area needs to be closed to new open cage salmon farm or expansion. At the bottom of this main letter I list some of the evidence we have gathered from our surveys to support this. Meanwhile, perhaps you might like to watch a film made about our June survey. The film is not published yet as the music rights need clearing. However it shows the sheer beauty of what we are protecting at a local level and why we want Wester Ross MPA and the MPA network protected from more open cage Salmon Farms. From a SARNS perspective, we hope reform is achieved BEFORE any more expansion in the wider sea too. On this occasion the opinions in this email are my own as I have had to write in haste without time to check this email with others in the group. However many of us along the west coast speak on a daily basis so I feel safe to say that there is a large and growing number of people who are waiting with baited breath in the hope of real change from the Parliamentary Enquiry on Salmon Farming. It is time for it. Scotland can lead the way on reform. I appeal to you to take the window of opportunity to REALLY change things. Please watch our June Survey film. The link is at the bottom of the page after the specific evidence on Wester Ross MPA below. When you have time please read on regarding evidence we have collected to oppose new salmon farms. I appeal for your support. PS With relevance to Wester Ross Marine Protected Area specifically – Scottish Sea Farms announced recently that they are proceeding with proposals for a new large farm near Horse Island as well as possibly an expanded and amalgamated farm near Tanera Island. The local creel fishermen are adamant this will damage their jobs and are protesting. Sea Change and many anglers in the area are opposed too as are the Wild Fish Trusts and the creel and dive associations represented by SCFF too. Together these groups speak for many constituents. If it went ahead the farm would be right at the very heart of the marine protected area. This is close to abundant mearl and on creel ground. This is also near to seal haul-outs, not to mention the multiple other environmental impacts and concerns with regards to the ecosystem, wild salmon and sea trout. SCFF and Sea Change have worked with SubSea.TV and Seasearch to film and survey the seabed since 2016. These surveys have focused on maerl. We have discovered. 1- An intact maerl bed just 250m from the proposed Horse Island open cage salmon farm site. This is the most intact maerl bed we have found in our surveys so far. 3- There are early signs of ecosystem recovery which are hopeful and the beauty below the waves, in pockets where it has been able to survive, is spectacular. We have been documenting the first exciting signs of recovery and more juvenile fish and habitats starting to re-colonise areas which were damaged by dredgers. We have also documented the damage by salmon farms under cages. 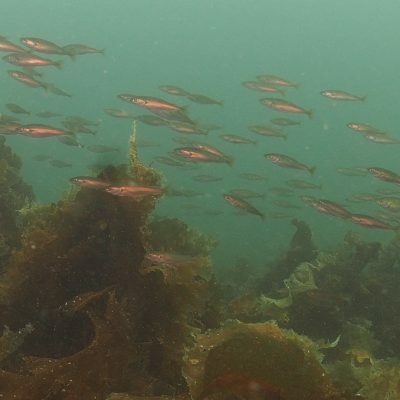 4- We have a concern – and I hesitate to say this because we do not have evidence yet – that there may be signs of impact from extra nutrients in the water on the maerl near an existing fish farm which will need to be assessed. Maerl has “recover” conservation status. 5- We have also confirmed old reports of incredible habitats such as horse mussels next to the flame shells in Loch Broom as well as the maerl described above which is more widespread than previously imagined. Some of this is in a spectacular condition although there are many places smashed to a pulp by dredgers. We have filmed both. Our surveys prove that huge amounts are still unknown. The waters in the Wester Ross Marine Protected Area have been designated for a number of features but one of the most important of these is maerl, a form of pink coralline seaweed. The area around the Summer Isles contains some of the highest concentrations of this fragile habitat in Scotland. Maerl is very slow growing and, once damaged, will take many decades to recover. 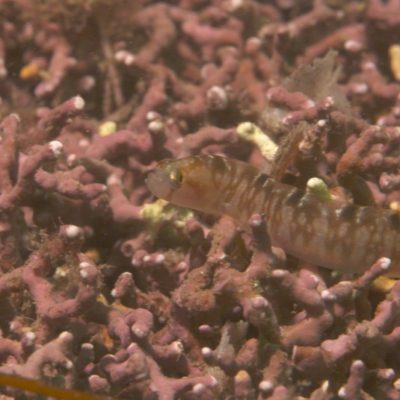 Studies have shown that maerl beds have been impacted by faeces and other organic waste released from fish farms at some considerable distance. Recent work by SEPA has demonstrated that this waste is transported much further than had previously been assumed and is often deposited in hotspots, some of which may be up to 4km from the farm where the waste originated. This long range transport is particularly likely in the strong currents and complex underwater topography around the Summer Isles. The proposed fish farm off Horse Island is very close to some recently discovered maerl beds and it is highly likely that it would cause long-term and irreversible damage to these beds if it were to be installed there. The Investigation into the impact of marine fish farm deposition on maerl beds Commissioned Report No. 213 (2006) (Research commissioned by SNH, SEPA and Marine Harvest) only recorded effects at 100m from the farm edge. However, they didn’t collect samples from any further away and so they were only able to say “significant effects were recorded to at least 100 m from the farms”. Sea Change had the support of an economist in exploring the impact of the Scottish Sea Farms proposal for a large farm at Horse Island, using it as a case study to assess the socio-economic impacts – this report was submitted to the REC Committee during the Parliamentary Enquiry. This is what the economist said. We have carefully laid out the causal mechanisms and benchmarked the economic activities that could be affected. That, in itself, serves to enlighten public debate, which is what economists and other experts should be doing. Our conclusions are not “opinion” – they are the antithesis of opinion. Since the development has adverse environmental consequences, the case for it has to be made on the income and jobs it will create. No-one is refuting that jobs will be created by the development. The argument is that, in the absence of further research, SSF cannot claim there will be a net expansion of jobs. As such the SSF claim is an unsubstantiated assertion (i.e a matter of opinion) and needs to be challenged by logical argument which articulates the causal mechanisms and orders of magnitude involved. Scottish Sea Farms also supply feed to salmon which contains anchovies and krill. We are destroying developing countries ecosystems to feed rich nations. This is just one of the global impacts we are having. 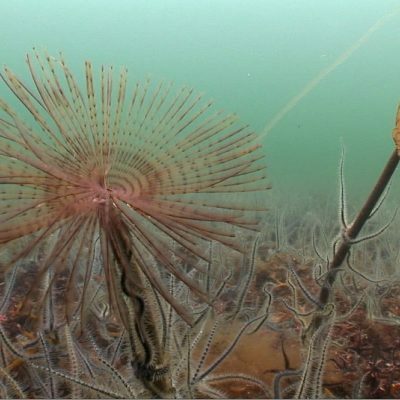 This 20 minute film will remind you of the beauty of our seas in Wester Ross and the recovery Sea Change is protecting. An Underwater Ecosystem June 2018 Survey on Vimeo.